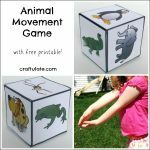 This fun craft is one of the new animal crafts featured in my new book: 50 Animal Crafts for Little Kids! It’s just been published and it’s available in paperback, Kindle and ebook formats!! Use the template to cut circles from the patterned paper. About 3″ wide works well. Cut each circle in half. Use the glue to fasten the ends together to form a cone shape. Glue on two pom poms for ears, and two googly eyes. 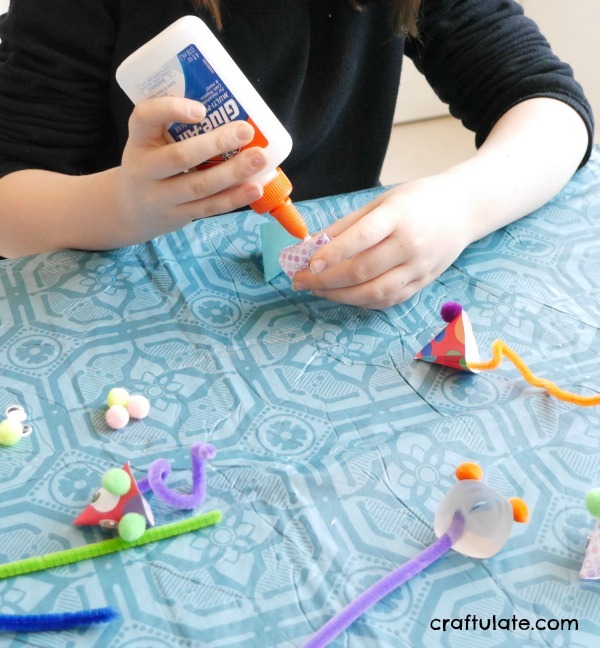 After the glue has dried, cut pipe cleaners in half with the wire cutters then tape them to the inside of the cone. 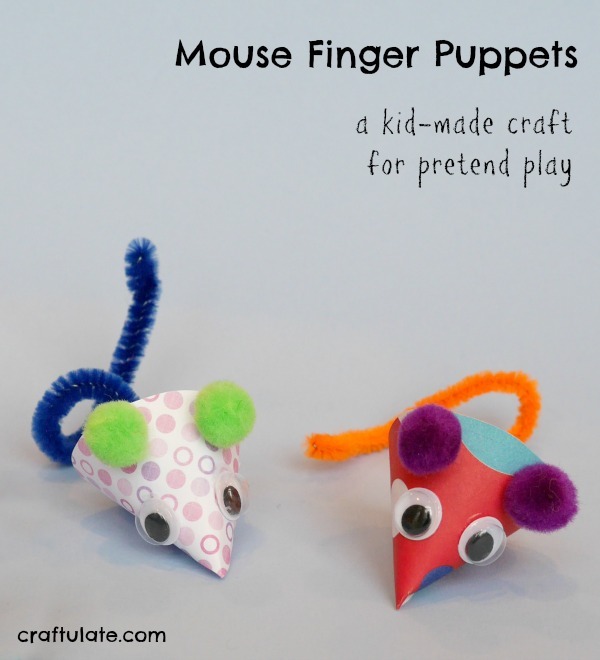 Curl the pipe cleaner so that it will hook onto a finger. Have fun playing! 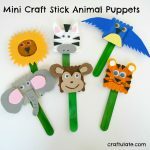 Note: These puppets are probably a little too fiddly for young children to make, but older children can definitely help and all ages will enjoy playing with them! Here are some mice themed songs to inspire you! Maybe there’s something wrong with my connection right now? …I just CANNOT believe that I would be the first person commenting here, or pinning these! …There has to be something wrong, right? You must be at the very very least pinning yourself?